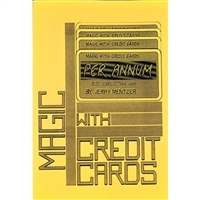 Magic with Credit Cards is a book full of tricks and routines with credit cards!! 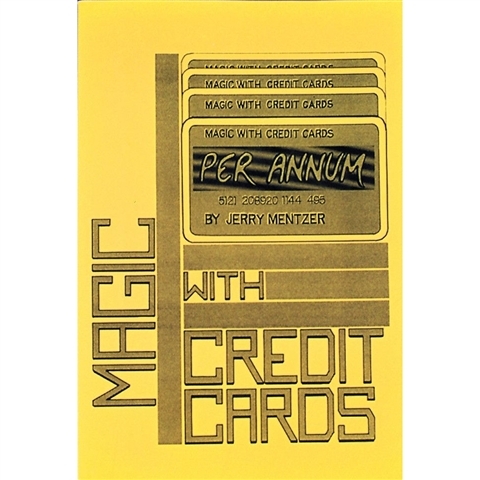 Several routines for destroying and restoring a borrowed credit card, routines for magical printing of credit cards, monte type effects, credit card repeat, several methods for credit card to wallet, and an assortment of gags and bits of business! Also included is a discussion of where to get credit cards, where to get duplicates, and how to make inexpensive but real looking duplicate cards. Imagine the fun you and your audiences can have when you borrow someone’s credit card, frequent flyer card, or private membership card and destroy it or vanish it! Typeset and fully illustrated. Size 5 1/2 by 8 1/2 inches, perfect bound. 80 pages with over 50 illustrations.